As UK immigration specialists, Global Visas are fully equipped to help clients obtain tier 1 visas and tier two work permits under the UK Points Based System (PBS). As tier 3 visas, tier 4 visas and tier 5 visas are rolled out over the next few years, we will also be able to submit applications for these UK visa categories. We offer the full range of UK work visas and business visas including the Highly Skilled Migrant Programme (HSMP), the Intra Company Transfer visa, (ICT) specialist doctor visas and dentist visas and we help with applications for those who wish to live and work in the UK on a working holiday visa. We also help to reunite clients with family members in the UK through the UK ancestry visa and dependency visa, and we assist with applications for marriage visas, unmarried partner visas and fiance visas. We help with applications for Indefinite Leave to Remain in the UK (ILR) for permanent residency in the UK and we help clients to apply for UK naturalisation as a UK citizen. Global Visas is the world’s premier immigration consultancy, helping obtain visas for thousands of clients every day. We’re a worldwide network of immigration lawyers and immigration lawyer toronto with over 20 years of experience. 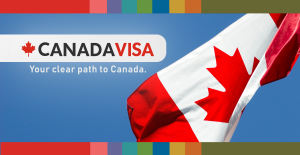 Global Visas Canada is part of our global team of offices. Locations also include the UK, USA, Australia, South Africa, India and the Philippines, plus many more. At Global Visas, we know that obtaining your visa is only part of the story. If you’re moving overseas, navigating the complex immigration structures in place in many of the most popular destinations can be stressful and time consuming. We take the stress out of moving overseas and we offer essential services such as help with searching for jobs, organising international removals, exchanging your currency and much more. This is a satellite website intended to provide basic immigration information for Global Visas clients based in Canada. For full details and more information, please visit GlobalVisas.com and go to our pages for Canadian Visas for Canada Immigration, Australian Visas for Australia Immigration, NZ Visas for New Zealand Immigration, UK Visas for UK Immigration, and USA Visas for US Immigration. To find out how Global Visas can help you or your business, contact one of our specialist toronto immigration lawyer today or visit the online assessment area to begin your visa application. Australia welcomes skilled migrants and those who can contribute to the economic and cultural development of the country. Australia offers a range of business visas and applicants may immigrate to Australia through the points based skilled independent visa or through a business owner visa, business executive visa or investor visa. Australia also offers the employment based 457 visa and a range of visas for those who wish to Study in Australia. Global Visas also assist with family immigration to Australia and help clients to obtain a spouse visa, prospective marriage visa or fiancé visa. Living and working in New Zealand is an increasingly popular option with those who relocate benefiting form the climate and a passionately sporting culture. At Global Visas, we assist with short term tourist visas for New Zealand as well as work permits including the New Zealand Work to Residence programme, which offers the right to apply for permanent residency. Canada is keen to attract skilled migrants from overseas, and Global Visas assist with applications for the Federal Skilled Worker Programme, its Quebec equivalent and the full range of Canadian business visas. We also help with Provincial Nomination Scheme (PNP) applications and we help those with relatives already in Canada to settle via the range of Canadian family immigration options. Canadian immigration has a lot to offer and our Top immigration lawyer in Toronto are fully equipped to find the right route for you. The United States has one of the most complicated systems of immigration services in the world with more than 60 categories of temporary visas for short term visits. The USA also offers several types of Green Card based upon family ties and skilled migrants with experience and qualifications. Global Visas obtain US work permits in the H1-B and H2-B categories, we facilitate US intra company transfers through the L1 visa, and we help those who wish to migrate to the USA on a permanent basis to obtain an EB-1 visa, EB-2 visa or one of the other EB work visas. South African tourism has risen dramatically over the last decade and as more and more people visit the country or choose it as their new country of residence Global Visas are able to offer the full range of South African work permits, visas and immigration services. We provide South African visas from short term tourist permits through to permanent residency routes such as the South African retirement visa. Travelling to India requires all foreign nationals to obtain a visa or work permit. 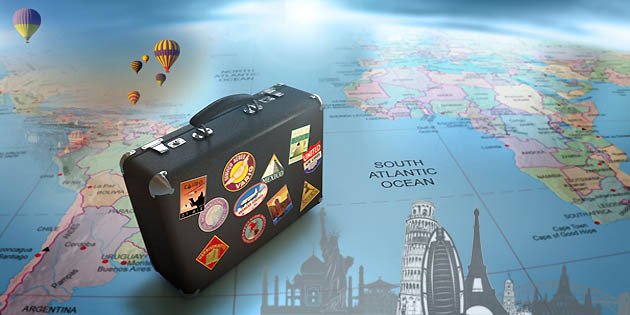 At Global Visas, we provide Indian work permits and short stay visas for travellers. We also help with long term immigration to India though the Persons of Indian Origin Scheme (PIO) and the Overseas Citizenship of India (OCI) scheme. Whether you need a short term tourist visa or you want to relocate for good, visit the Global Visas online assessment area today to find out how we can help you. Just take a moment to complete one of our assessment forms and a friendly immigration consultant will contact you.